We deliver the deal that’s right for you ... with an investment partner who earns your trust. Stern Ventures is an end-to-end investment bank dedicated to raising capital and brokering strategic partnerships from $5 to $300 million for technology and media companies. Stern Ventures guides clients through the entire deal process from strategic planning to successful closing, with care and integrity. We add value for our clients by identifying and negotiating with the best qualified institutional partners and streamlining the due diligence process. Stern Ventures leverages deep industry expertise and connections to help clients achieve their strategic objectives. Our network of over 36,060 capital decision makers and C-level executives forces investors to compete for your business. Finding the right investment partner to raise capital in the $5 million to $300 million range is hard, especially in the technology and communications industry. "How can I get the deal that’s right for me in front of targeted decision makers without wasting time?" Because knowing where to start is overwhelming. 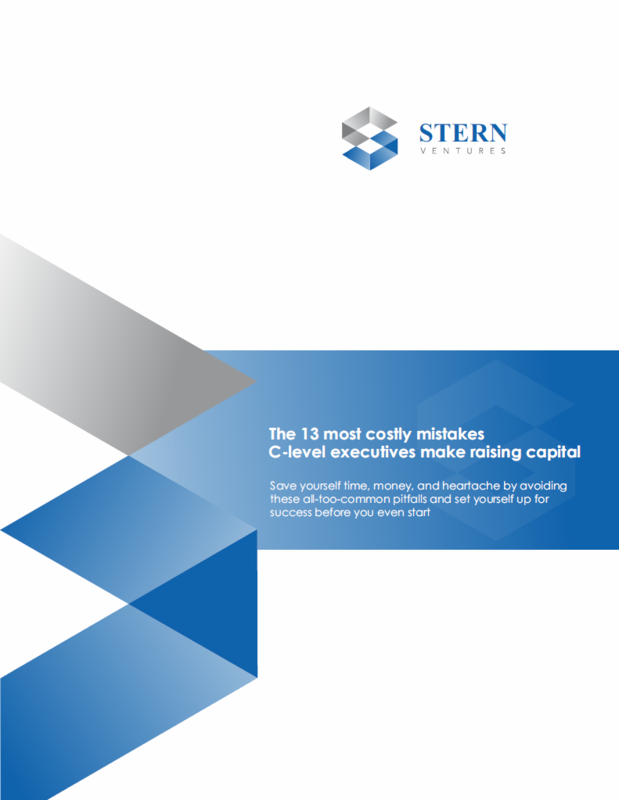 In fact, the number one mistake C-level executives make isn't failing to acquire funding ... it’s accepting capital from the wrong strategic partners. There’s nothing more painful than being tied to an institution or financial partner who places their own interests ahead of your own. How do you find a reliable advisor to guide you through the process? a consultation with Stern Ventures. At the time I hired Cang (Stern Venture’s Managing Partner), we were in the midst of a complicated and scary acquisition, our third in nine months. We needed ‘strategic development’ help -- analysis, sourcing, and deal management. Cang was like manna from above in this context and he immediately dove in and virtually ran the deal to completion. "His performance was impressive ... By negotiating three royalty agreements, he saved Untangle $300,000 a year"
*Testimonials may not be representative of the experience of other customers and are not a guarantee of future performance or success. By connecting you with our network of over 36,060 executive­-level decision makers and financial institutions, Stern Ventures specializes in fostering competitive demand ... with you at the center. Our competitive approach is so strategic, every contract dictates that we refund half of our overall transaction fees if we’re unable to deliver multiple offers for your financial needs. Secure your initial consultation with Stern Ventures today. Here’s what Stern Ventures helps you achieve. If you’re a CEO, CFO, or COO with strategic initiatives requiring significant investment capital to grow your business, Stern Ventures links you with our network of over 6,750 financial institutions. By getting the right offer in front of multiple decision makers, we help our clients identify and arrange equity and debt financing between $5 million and $300 million for expansion, acquisitions, or recapitalization. With C-level contacts at 12,900 domestic and 16,410 international corporate development departments, Stern Ventures facilitates your optimal M&A exit. For buyouts, Stern Ventures helps LBO/MBO sponsor and debt investors craft a financing structure that meets your investment objectives ... as well as those of your stakeholders. We listen and reflect our clients’ need for a strategic plan that provides targets with financial flexibility to operate and grow your business post buyout. If your existing shareholders are looking to sell their equity, Stern Ventures provides a 6-9 month liquidity process ... without having to wait for an IPO or M&A event. By facilitating secondary offerings, Stern Ventures enables exiting shareholders to monetize illiquid holdings while your company’s current capital structure stays in place. Developing your business through both downstream and upstream partners can take many forms: expanding distribution, engaging new suppliers or channels, creating complementary product offerings, or finding opportunities to license, package, and sell your current services. As a client, you can leverage “Stern Ventures’ broad network” to develop powerful strategic partnerships with C-level executives in companies who share your same growth objectives. I met Cang (Stern Venture’s Managing Partner) through my contacts while looking to raise our Series A.
Cang looked over our documentation, had a couple of one on one phone meetings, prepared a long list of questions, and then analysed our business plans, decks and materials. Cang got back to us with a long list of recommendations and potential changes to help us better present our company to VC's. Cang helped us simplify the message and more precisely highlight our product and the opportunity. Cang ripped it apart, and gave us clear suggestions and improvements. "Cang's input was priceless. When we are ready for our next deal, Cang will be our first call." Secure your initial consultation with Stern Ventures today! All Stern Venture engagements start with an initial 20-minute consultation focused on you and your strategic goals. A typical capital raising or M&A cycle takes 6 to 9 months. The chart below highlights the schedule for a 6 month deal process. refund​ if we’re unable to deliver multiple offers in M&A deals. Because only when we deliver multiple term sheets can you be confident you've selected the best terms from the most reliable investment partner who share your strategic vision. That's how we align our incentives with yours. That's how we establish trust. What we expect from our clients in return is a 12-month active engagement with a 1 year tail based on transactions resulting from our collaborative efforts. Our transparent standard is designed with your best interest at heart to provide you the most favorable terms and to deliver peace of mind. Connect directly with Stern Ventures today! Stern Ventures is an end­-to­-end investment bank serving technology companies with strong fundamentals. As our client, we guide you through the entire deal-making process from strategic planning to successful closing. Access over 36,060 financial and corporate development departments through our active network of strategic contacts, managing directors, and C-level executives. We deliver the deal that’s right for you by identifying and negotiating with only the best­ qualified institutional partners and streamlining the due diligence process. With Stern Ventures, you not only get one­-on­-one guidance but also competitive bidding for your financial needs through our robust network of decision makers. Mr. Quach, a registered representative of Rainmaker Securities, LLC., is the Founder & Managing Partner of Stern Ventures. Previously, Mr. Quach served as the VP of Finance & Strategy at Untangle, Inc. where he spearheaded the company’s acquisition growth strategy, doubling the size of the parent company. As part of the Technology Investment Banking Group at Morgan Joseph TriArtisan, Mr. Quach sourced and executed equity, debt, and M&A transactions representing over $250 million in aggregate value. A co-founder of two startups in the digital publishing and display sectors - Emiscape & Magmazines - Cang holds five U.S. utility patents. Prior to these ventures, Mr. Quach served as an Equity Research Associate at Dodge & Cox, an investment management firm with over $200 billion in AUM, where he analyzed companies in the cellular, automotive, and retail sectors. He also served as an economic analyst at the Economic and Social Council (ECOSOC) of the United Nations in New York. With an over $​250 million track-record of success,​ here’s exactly why Cang is a trusted advisor in the investment banking industry. Syndicated private placement for Green Biologics (Biotech, Cleantech) from Sofinnova Partners (European VC) and Swire Pacific (Global Conglomerate). Private placement for Yellowpepper (Mobile Payment) by Latin Idea Ventures (Latam VC). Syndicated private placement for Advanced Data Center (Data Center). Total Defense (Consumer Security Software) with Untangle Inc. (Network Security Software). LocalBizNOW (Digital Media) by MDC Partners (Ad­Tech Holding Company). Ms. Wang, a registered representative of Rainmaker Securities, LLC. and VP at Stern Ventures, has over 10 years and $200+ million in M&A experience. Previously, Ms. Wang served as Senior Manager of Corporate Development at EFI, Inc., where she helped develop and execute the Company’s acquisition growth strategy. During her tenure, Ms. Wang successfully managed and closed numerous M&A transactions, representing over $100 million in aggregate value. Her efforts enabled EFI’s target of $1 billion revenue in 2016. As part of the Wells Fargo Corporate Development team, Ms. Wang executed strategic acquisitions of asset-backed loan portfolios and aircraft leasing JV’s, representing over $110 million in transaction value. 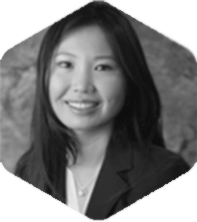 Prior to, Ms. Wang was part of the Wells Fargo Corporate FP&A group, focusing on forecasting, budgeting and analysis for the Wholesale Commercial Banking division. She was instrumental in the post-merger integration of the Wachovia Bank acquisition, as well as in the implementation of key company-wide finance initiatives. Mr. Kennedy serves on the Board of Advisors to Stern Ventures. Currently, Mr. Kennedy is the Founder & CEO of Sift Finance, a robo-advisor that helps startups map and operationalize successful business models. Previously, Mr. Kennedy founded WCK Consulting LLC providing key strategy and financial advisory services to over 30 companies including Colingo, Locbox, and Expertus. Prior to consulting, Mr. Kennedy underwent a 6-year tour of investment banking and equity research. He worked for notable firms, including Green Street Advisors (the #1 sell-side shop covering REITs) and Tier1 Research. During his tenure at Thomas Weisel Partners, he worked on deals representing over $1 billion in aggregate value. 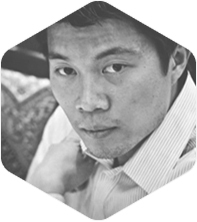 He also served 2 years at SVB Financial Group providing venture financing & industry connections to startups. 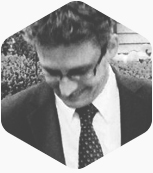 Mr. Kennedy is also a Finance Instructor at the Investment Banking Institute, iXperienceCT, and Summerfuel where he has taught financial analysis, modeling, M&A, and LBO to over 1,000 students. Our robust network of 36,060 managing and C-level connections means that your prospective partners aren’t just pre-qualified, but will a​ctually compete for your business. 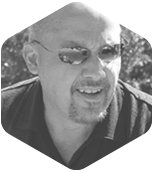 For an in ­depth look at our Transaction Experience, you can read more on our Who We Are page. 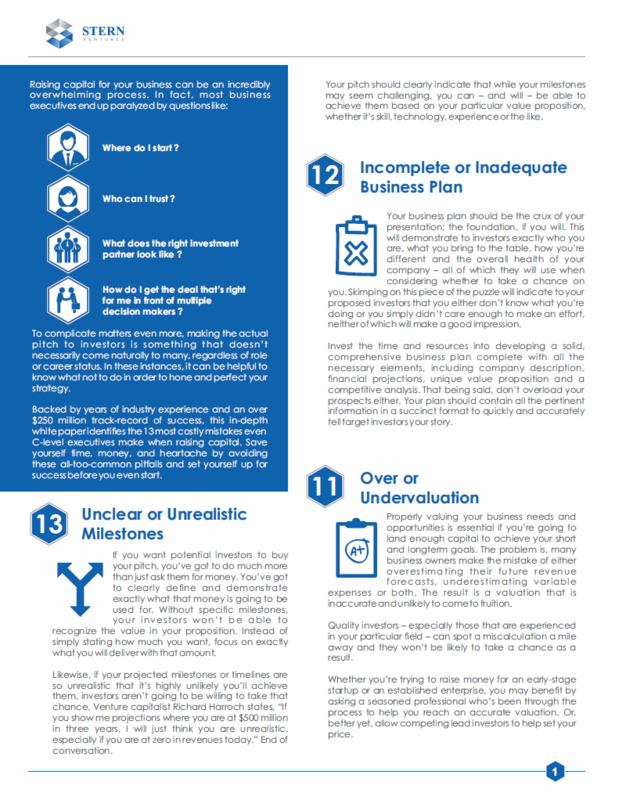 defining your own strategic initiatives and business goals.